SEO doesn't have to be a mystery. And it's much more than knowing where to put title tags and keywords. SEO is the framework the search engines use to determine who ranks for each search query. There are no hard yes's or no's. There are often one page websites from 1995 that still outrank better competitors. But if you understand the principles of SEO you shouldn't have any problem with any other site. Not everything that you do or have on your site needs to be optimized. Optimization is a strategy by which we are trying to attract people who are searching for the questions that you are solving. Not everything you write is solving a problem or has people looking for them. The search engines provide traffic to our websites, but for the most part we don't care about traffic. What we really want is the right traffic. So let's figure out what is that traffic? If we can lay out a plan for the kind of traffic we want, we can be sure that everything that follows actually builds our business. . . not just today's income. What do I want to be known for in the next 3 to 5 years? What do hallways, bathrooms and molehills have to do with Search Engine Optimization (SEO)? Recorded at BloggyCon, this is more insight into understanding what you're really trying to accomplish. Where do they search? And what's the difference between searches on Google and Amazon? How much is too much? Think about your resources as well as your audience's engagement when determining your content production schedule. Give them something to talk about. Be interesting but also mindful of the message you're sending. Show them the way to Like, Pin and Share. If you don't ask them, they'll likely not do what you want them to do. Follow and no-follow are terms you need to understand. Use the rel=”nofollow” function when your site is pointing at anything that makes you money. Follow Google's rules. If you master these few things, you'll be an analytics ninja. 1. If I'm going to link a new post to an old post, what anchor text link do I use? 2. If I need to flesh out and expand an article, what do I add that would be SEO friendly? I thought both would be answered by explaining how to use the Google Display Planner. This week's training was about Advanced SEO strategy that nobody out there is sharing. It gets a bit deep at times but you'll come out the other end with a deeper understanding of how your SEO needs to be setup. Enjoy. What does grilled cheese have to do with your SEO efforts? 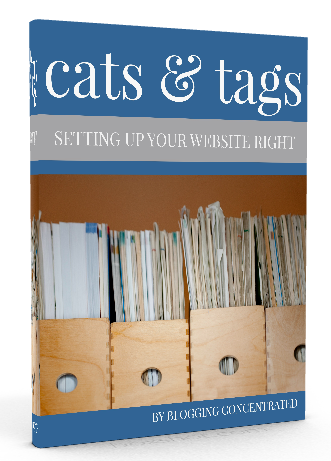 Should you use categories and tags? Something is wrong with my site... did I mess up my SEO? How many words should my search optimized posts be? Will linking to other sites hurt my rankings? Check it out, leave us a message with your questions and we'll answer it in our upcoming podcast. Housed inside of SBI's fabulous service is BrainstormTools, the best keyword research tool on the planet. In this quick tutorial, I show you what it is and how to use it. I hate to be short, but the video should speak for itself. BrainstormTools.com came out with a new product though it doesn't change anything for us. It's just a different interface. If you got that, here's the tutorial.